Travel Costs > How Much Does a Passport Cost at the Post Office? Anyone in need of a passport can obtain an application form from their local post office as most locations provide application forms, take passport photos, and accept the completed application packets. However, before going to your local post office, you may have to visit the main post offices in your city rather than one of the smaller ones. You can use this USPS.com official search to see which locations in your area offer passport services. The application fees at the local post office for first-time passport applications will be $25 for the acceptance fee and another $15 if you need the photo. This won’t include the actual cost of the passport when applying, which, as of 2017, is about $135 for the execution fee and passport book. Most people only go to the post office when they need to apply for the first time since renewals can easily be done via the mail. At the post office, you will need to bring an unsigned Form DS-11 Application for U.S. Passport, a proof of identity document that’s photocopied on both sides, a proof of U.S. citizenship document that’s photocopied on both sides and a form of payment. You will also need a passport photo taken, which can be done either at the post office if they offer it or at a third-party location. You can pay the passport fee with a check, money order, bank draft, or cashier’s check made payable to the U.S. Department of State. The acceptance fee can be paid in cash or by credit or debit card, check or money order made payable to the U.S. Postal Service. The State Department fees, as stated by the USPS, won’t include the State Department fees. You can use this calculator to calculate your exact fees. Passport photos, as mentioned, at certain branches cost about $15. However, you may be able to find another retailer that offers photos for a lower price. If you need your passport within three weeks, you can pay an expedited processing fee for an additional $60 per application, plus another $15.45 for return delivery postage. If you are leaving in less than 30 days, then you will need to contact the Department of State passport agency by either making an appointment online or call 1-877-487-2778. The standard processing time at most post offices will be about six to eight weeks, according to those who applied for one. This time limit can increase if it’s during peak period times of year such as the beginning of the year or during the summer. Passports issued to adults expire in 10 years while passports issued to minors are valid for five years from the date of issue unless it is limited by the Secretary of State. Passport applications must be done in person if you are a first-time applicant. If you are planning a trip, you should apply for your passport at least two months in advance to make sure you get it on time even if problems arise. It is best for both parents to be present in the post office to sign for any child under the age of 16. This is to prevent parental kidnapping. Documentation from the missing parent is required in case both cannot go to the post office. Always call first before going to a post office, even if you know they accept them. You may find that some locations will require you set up an appointment before they process your application. You can submit the passport application by mail if you are not a first-time applicant and are simply renewing to avoid paying an extra $25 processing fee. If you want to save a trip, consider getting your passport photo taken at the post office. While some retailers may have a cheaper option, a post office can assure you the photo is approved when sending in. 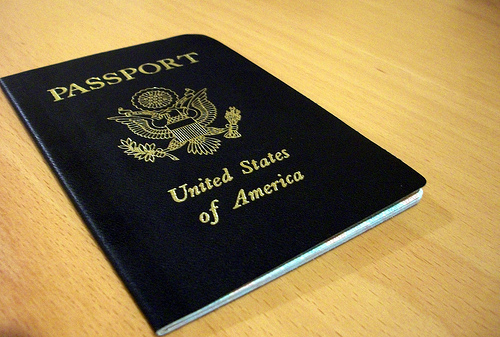 The post office isn’t the only authorized facility that can issue passports. The courthouse, city clerk office, passport office and other related facilities can offer the service as well. In some cases, these locations could be closer and the fees could be less as well. Use the official passport acceptance facility search page to see which locations are closest to your home. I don’t have a passport yet I’m trying to get one and want to get one.